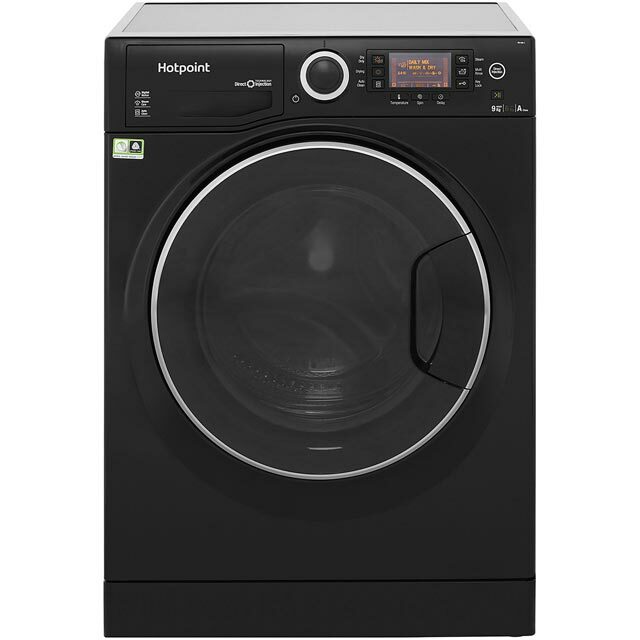 Get amazing results with this black Hotpoint washer dryer. With its 9kg drum, it’s ideal for medium-sized households. This model has a handy Anti-Stain programme that leaves clothes spotless. 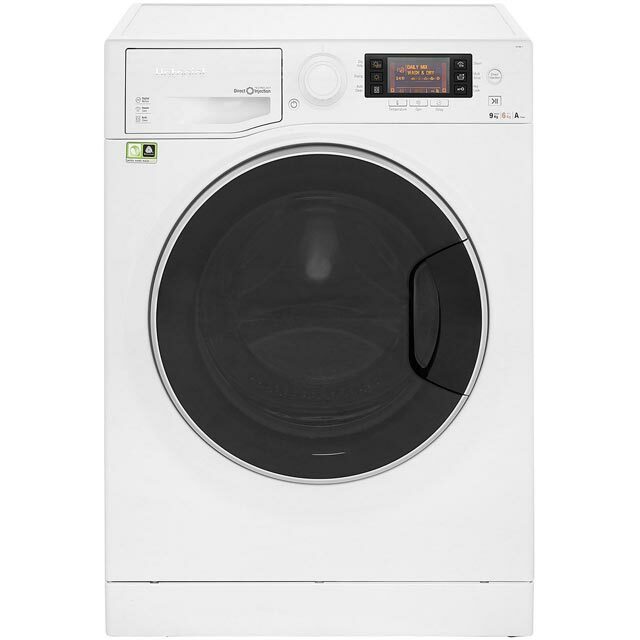 It works by instantly releasing detergent to remove up to 20 everyday stains without pre-soaking. For your favourite jumpers, the certified Woolmark Green programme uses lower spin speeds to carefully wash your woollens, while being water and energy efficient. To avoid over-drying, the Set & Forget feature uses sensors to monitor the moisture in clothes, ending the programme when they’re dry. It then tumbles laundry with cool air to prevent creases. 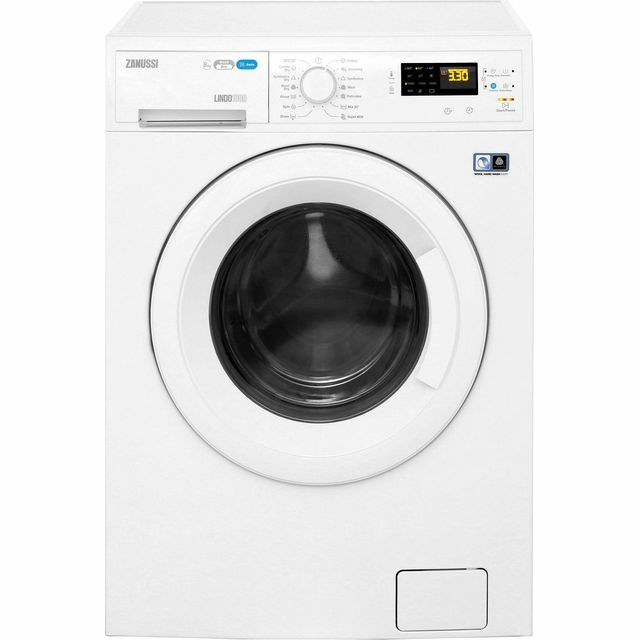 This was a replacement for a Hotpoint washing machine which gave up the ghost after 7 years. We initially got a Hoover Washer dryer from another retailer but unfortunately this was prone to going walkabout and jumping during the spin cycle. So the Ultima is a very simple to use machine; you just press the button of the cycle you want and then you can tweak it accordingly depending on the cycle (spin, temperature and time). We mainly use the 30 minute fast wash and like other reviews, there isn't a straight forward 1 hour fast wash on 60 degrees like our previous machine. However, if you want a 1 hour wash you can use the Anti Stain Quick mode. Or use time saver mode on some of the other cycles which are 1h 17m or 1h 30 respectively. 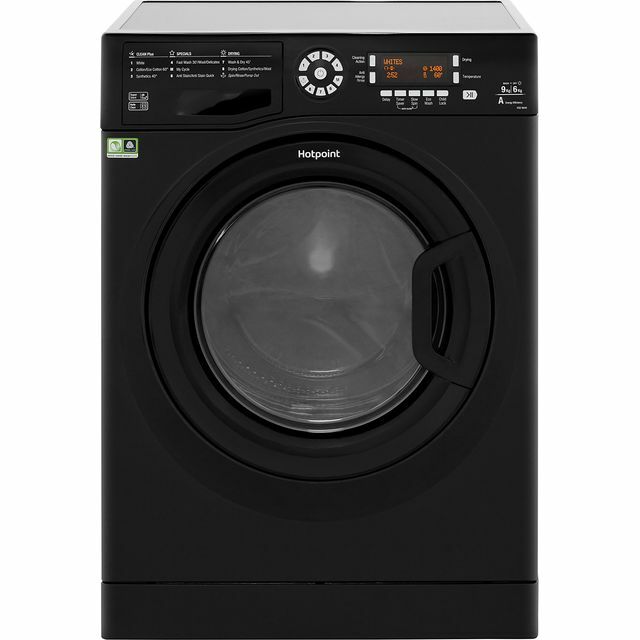 You will need to play around with the settings to get your desired wash. Haven't tried the dryer yet but suspect you'll need the best part of 3 hours to get it reasonably dry. That said the dryer seems to be easier to customise with regards to time as you can choose in increments of 30 minutes starting from half hour dry time all the way up to 4 hours or so. 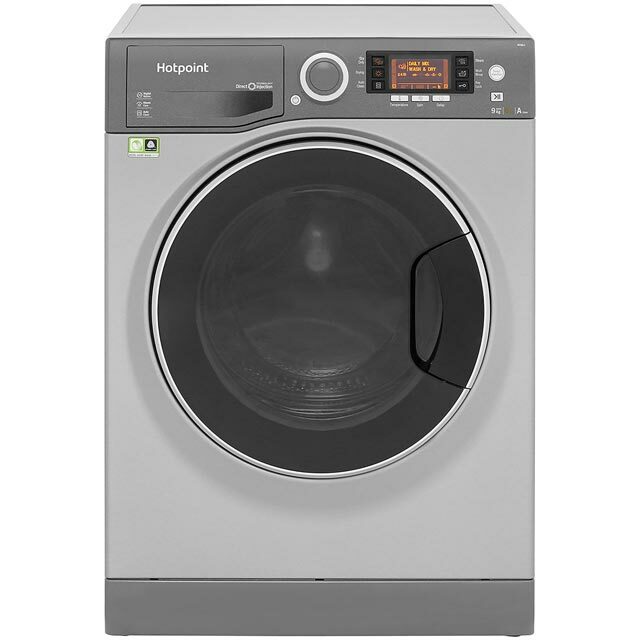 I do miss the Hoover which had a very easy set up but the Hotpoint is far more reliable. There is a bit of noise during spin but main thing is that it stays still! Good machine - long cycles ! Good machine very quiet. However the main drawback is the length of the wash cycles and drying times. Will have to set most of the times by hand otherwise it takes hours to complete a basic 40 degree wash. Very pleased with washer/dryer. Easy to work and looks good in kitchen.